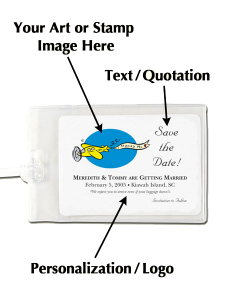 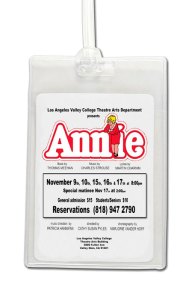 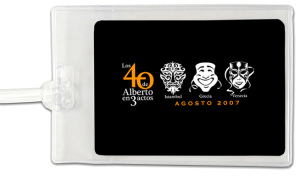 Plastic luggage tag includes your image, text with full-color printing included. 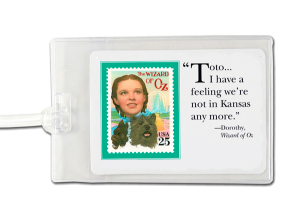 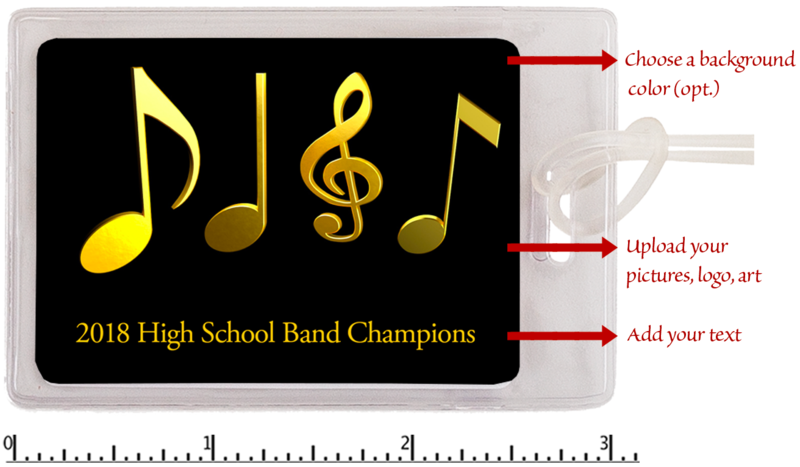 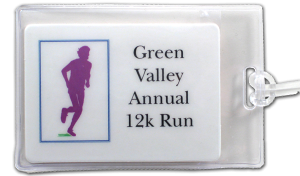 Order custom printed plastic BagTags using your own image or one of our licensed stamp images. 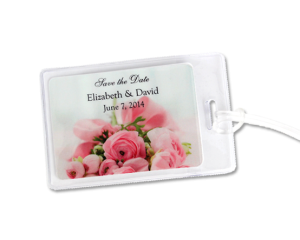 Your custom printed BagTags are printed in full color, laminated, then placed inside a sturdy plastic holder. 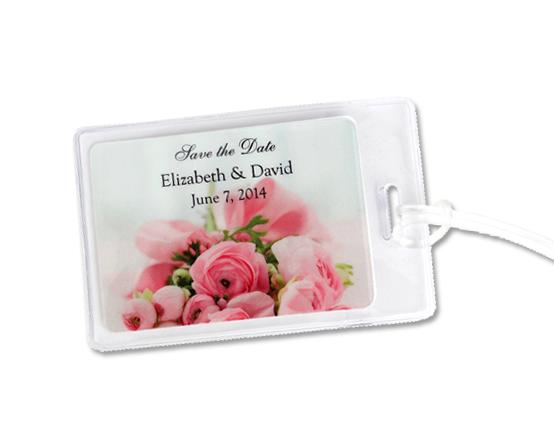 Custom printed BagTags include a separate card for your name and address. 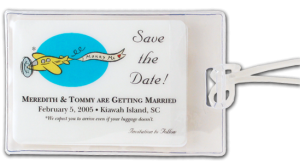 The card placed behind the laminated piece inside the plastic holder. 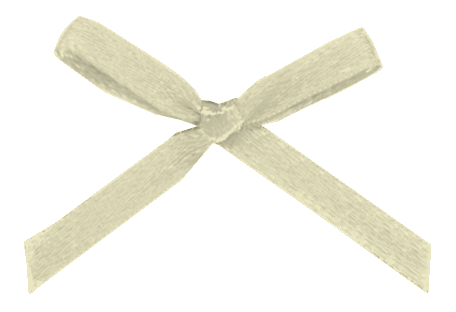 Most BagTag orders ship within 24-48 hours, however, if materials are needed from an off-site supplier, a longer lead time may be required. 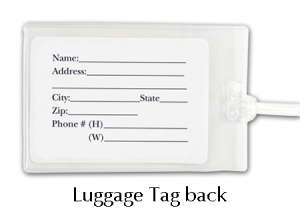 A removable card is provided for your name, address and phone number on the backside. 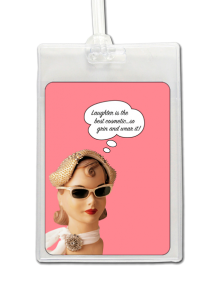 A strong, flexible plastic loop attaches your custom plastic luggage tag to your bag. 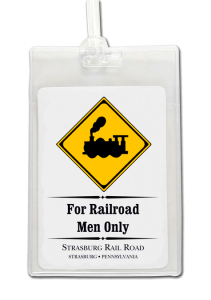 Your custom plastic luggage tags are manufactured in the USA to museum-store standards. 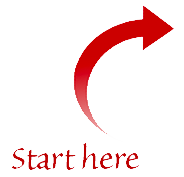 If you have completed art, click on the “Send Us Your Completed Art” tab click here to upload your art.